Days ago a catching title was thrown into the photography community. 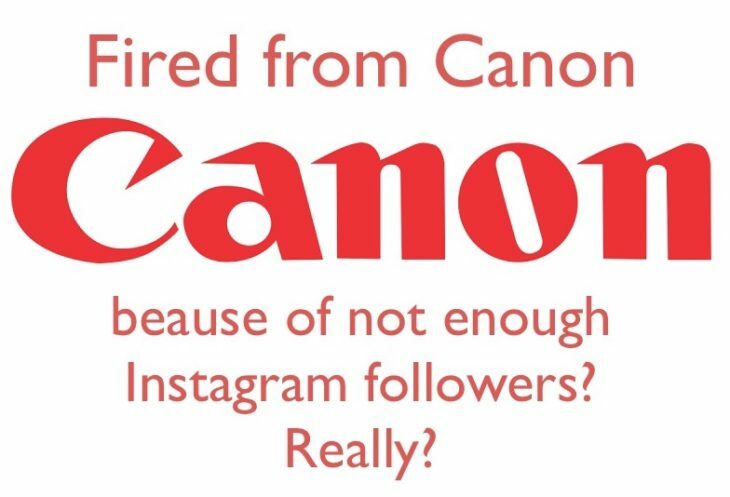 The news came from a major outlet, claiming a photographer was fired from Canon because she didn’t have enough Instagram followers (less than 50k). Well, it turns out there is nothing true in this story, as The Art of Photography meticulously researched and explains in the video below. Well, this tells a long story that should make us think. Not just about photographers telling fairy tales but also about how fast those fairy tales (aka fake news) spread onto the Internet.